Pericoronitis in an 11 year-old female patient. Although pericoronitis most commonly occurs around lower third molars, this case occurred on a lower second molar. The arrow points to the swollen flap of gum tissue over the back of the incompletely erupted tooth. The flap is called an operculum, which in this case had become extremely tender. Pericoronitis is an inflammation of the soft tissues surrounding the crown of an incompletely erupted tooth, characterized by pain and swelling. 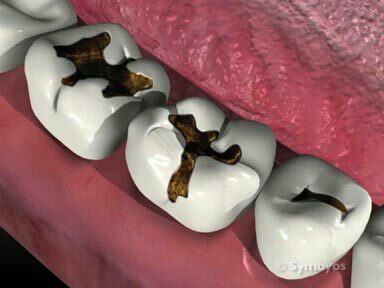 Generally the inflammation is caused by entrapment of food debris, irritation, or trauma to the soft tissue around the crown of the tooth—which then becomes infected. 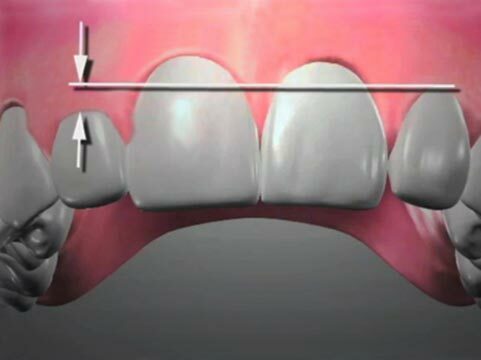 Usually, the tooth is the furthest tooth back in the jaw, and lower teeth are affected more commonly than uppers. The most commonly affected teeth in adults are the lower wisdom teeth (third molars), due mainly to their high incidence of impaction and the patient’s inability to clean around them effectively. How does the dentist diagnose Pericoronitis? Presence of an inflamed operculum of gum tissue around an incompletely erupted tooth supports the diagnosis. Sometimes an enlarged operculum is not obvious, but the soft tissues are red and enlarged in most cases. The patient does not complain of tooth pain or sensitivity, and (if tested) the teeth test normal to hot, cold and mild electrical current. The patient generally reports severe pain, and often has tender, enlarged lymph nodes. They may also be running a fever, and will likely be feeling poorly in general. This very painful condition may be treated on an emergency basis by administration of local anesthetic to numb the area. An incision may be made to produce drainage, in order to reduce the number of bacteria in the wound. 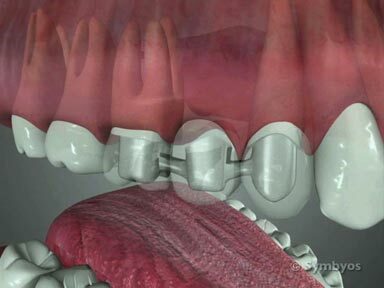 If the operculum is enlarged and tender, the dentist may surgically remove all or part of it. Irrigation with an antiseptic solution (such as chlorhexidine) may be done, and a systemic antibiotic is frequently prescribed. Thorough cleaning (debridement) of the gum pockets around the tooth can accelerate resolution of the infection and inflammation. If the patient is an adult, whose jaw development is complete, and the tooth is partially impacted, the involved tooth is often removed to prevent recurrence of the problem. One or more X-rays (radiographs) will usually be exposed to visualize the size and shape of the tooth, and the location of the nerves before the tooth is removed.